Add following information in your file. Now Reboot your both BSD routers. 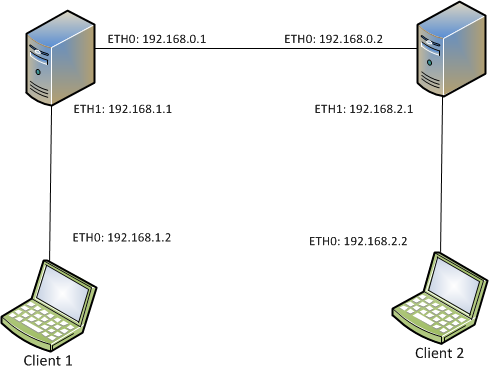 eth0 is running in connected to ISP or dhcp server and eth1 is connected to Local LAN. And FORWARD ACCEPT rules in filter table if you use it. By default, I think, all is accepted – you should change this if you have other connected clients you want to not be routed. These commands need to be executed after every boot, so write them on starting script, for example /etc/rc.local. Re-configuring the locales package, which should ask you to set your system locale. Run aptitude with a specific locale, for troubleshooting. If you’ve upgraded to Lenny and you have leftover LANG=… content in /etc/environment, you should comment it out. How do I Compress Complete Linux or UNIX Directory? Q. How can I compress a whole directory under Linux / UNIX using a shell prompt? Q. How can i zip folder/directory in Linux using shell command? Clonezilla is a free disaster recovery, disk cloning, disk imaging and deployment solution. 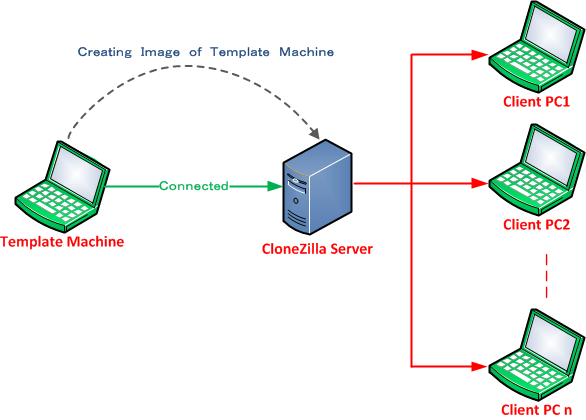 Clonezilla is designed by Steven Shiau and developed by the NCHC Free Software Labs in Taiwan. Clonezilla SE provides multicast support similar to Norton Ghost Corporate Edition. First Install FreeBSD 8.2 . 4. Delete slice 1 for Debian and leave it as unused. 5. Install FreeBSD in second Slice leaving first slice and don’t install Boot Loader. Just leave boot loader as we are going to install Grub Boot loader in Debian. Do not Touch the FreeBSD slice that is visible during manual partitioning. Here you will not see FreeBSD system in Debian Grub as you need to edit your grub boot loader. After you enter the password on login screen, it takes you back to login screen making you unable to log in. This will clean up the package cache freeing up lots of disk space. If you don’t have anything in the cache you’ll have to move your files to another partition. You can use mv for the purpose. This will move the file – file.zip to /media/disk-3. * Chmodding /tmp to 0777 have worked for many people. Other option: Clean some of the unwanted files in your PC. Check your harddrive by $df and see the status and delete accordingly. What will you do if your grub is not installed or your grub boot loader is corrupted in Debian? Go to Advance option in in the first Installer boot menu. Configure your Ethernet card and select DHCP auto-configuration connecting into DHCP network. After an hour of frustration and a giggle at the appropriately titled Word 2007 crashes aren’t a bug, they’re a feature, it occurred to me that I went through this exact issue some time last year. 1. Exit all Office programs. 2. Open the Registry Editor by selecting Start, Run, type regedit, and then select OK.
4. Back up the registry key (select the Data folder, and then select File then Export. Call it whatever you want and save it to an easily accessible spot like your desktop). Delete the Data subkey (select Data, then select Delete from the Edit menu).